Substitutes Joao Carvalho and Karim Ansarifard were both on target as Nottingham Forest left it late to beat play-off rivals Hull City and move to within two points of the top six. The Reds had the better of the possession and chances at a sold-out City Ground. But they lacked composure in front of goal until the final 20 minutes, when Carvalho smashed in a brilliant opener from 25 yards. Ansarifard made it 2-0 within four minutes, reacting quickly to net when Joe Lolley's strike had come back of the post. The impressive Lolley added a third from the penalty spot to close out the victory after Jack Colback was fouled by Markus Henriksen. 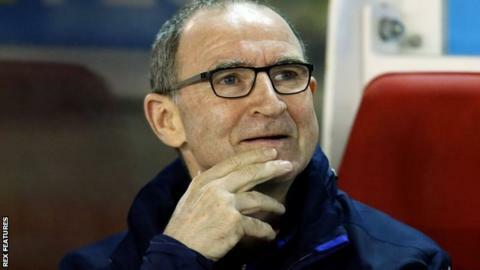 Forest's victory means they remain eighth, but are now three points ahead of Hull and just two places behind fierce rivals Derby, who could only draw with Sheffield Wednesday at Pride Park. The Reds, who had lost their past five home league matches against Hull, had to be patient for a deserved three points after a performance that grew in confidence. Yohan Benalouane had their first chance, a dipping early volley that went just wide, but their best first-half opening came just before the break when Lolley headed over when well placed after some good work by Ryan Yates. Hull's main threat came through Kamil Grosicki, but the closest he came was when he got away from Tendayi Darikwa only for his near-post shot to produce a comfortable save by Costel Pantilimon. The hosts remained on top on the turnaround, Alexander Milosevic's header forcing an outstanding save from David Marshall before the introduction of Carvalho and Ansarifard changed the course of the afternoon. They scored a goal apiece within four minutes and that became three goals inside 11 minutes when Lolley coolly slotted home from the spot. "We're in the (play-off) battle. It's a still a long road, but the players have a lot of confidence about themselves. "It was a tough old first half. The substitutes had a very, very important part to play for us. But I also thought there were some excellent performances from us. "These next two games (at home to Aston Villa and away to Ipswich) are big for us before the international break, but at least that's another three points. "We'll take them and we'll be delighted with them. That's four consecutive victories here and it was a big win." "Before the game we were four points off the play-offs and now we are five points. We kept the home crowd quiet for long periods, but maybe we didn't have that final decisive pass in the final third. "The first goal was going to be decisive, but it's fair to say it was a wonder strike from the lad. "Sometimes it's fine margins, but that's given the home side the impetus to win the game - and then the second goal has taken it away from us. "We wanted to win and we played some good football again, but you've got to go and score." Match ends, Nottingham Forest 3, Hull City 0. Second Half ends, Nottingham Forest 3, Hull City 0. Attempt saved. Jarrod Bowen (Hull City) right footed shot from the centre of the box is saved in the centre of the goal. Assisted by Jackson Irvine. Foul by Karim Ansarifard (Nottingham Forest). Jackson Irvine (Hull City) wins a free kick in the defensive half. Substitution, Nottingham Forest. Diogo Gonçalves replaces Joe Lolley. Corner, Hull City. Conceded by Pelé. Goal! Nottingham Forest 3, Hull City 0. Joe Lolley (Nottingham Forest) converts the penalty with a left footed shot to the bottom right corner. Penalty Nottingham Forest. Jack Colback draws a foul in the penalty area. Penalty conceded by Markus Henriksen (Hull City) after a foul in the penalty area. Karim Ansarifard (Nottingham Forest) wins a free kick in the defensive half. Attempt blocked. Fraizer Campbell (Hull City) header from the centre of the box is blocked. Assisted by Todd Kane with a cross. Evandro (Hull City) wins a free kick in the defensive half. Goal! Nottingham Forest 2, Hull City 0. Karim Ansarifard (Nottingham Forest) right footed shot from the centre of the box to the top right corner. Joe Lolley (Nottingham Forest) hits the right post with a right footed shot from outside the box. Assisted by Jack Colback. Foul by Pelé (Nottingham Forest). Karim Ansarifard (Nottingham Forest) wins a free kick on the right wing. Goal! Nottingham Forest 1, Hull City 0. João Carvalho (Nottingham Forest) right footed shot from outside the box to the centre of the goal. Assisted by Karim Ansarifard. Pelé (Nottingham Forest) wins a free kick in the defensive half. Attempt missed. Ryan Yates (Nottingham Forest) left footed shot from the right side of the box is close, but misses to the left. Attempt blocked. Jarrod Bowen (Hull City) left footed shot from outside the box is blocked. Substitution, Nottingham Forest. João Carvalho replaces Daryl Murphy. Karim Ansarifard (Nottingham Forest) is shown the yellow card for a bad foul. Attempt saved. Ryan Yates (Nottingham Forest) header from the centre of the box is saved in the centre of the goal. Assisted by Ben Osborn with a cross. Jack Colback (Nottingham Forest) wins a free kick in the attacking half. Attempt blocked. Tendayi Darikwa (Nottingham Forest) right footed shot from outside the box is blocked.